Its collection includes one of only 26 surviving copies of the Dunlap Broadside of the Declaration of Independence, two rare drafts of the U.S. Constitution, and an original Purple Heart, awarded by General George Washington to soldiers for extraordinary bravery. Other exhibits highlight the Society of the Cincinnati, the nation’s oldest veterans’ society, and include American furnishings, ceramics, silver, textiles, and other military items. The Museum’s mission is to provide a place for the study, research, education, and interpretation of the American Revolution and the role that New Hampshire and Exeter played in the founding of the new republic. 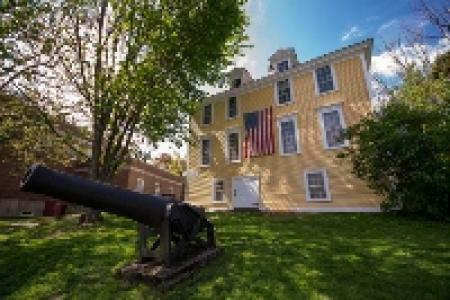 In addition to sponsoring the American Independence Festival, the Museum hosts guided tours for school children and periodic events, such as lectures and colonial artisan demonstrations, to showcase New Hampshire’s rich colonial history. The museum is open May - November (closed on Thanksgiving Day).